When you find yourself driving down one of the busy roadways or freeways in the Pasadena area of Southern California during the dry season, you will quickly realize that our region of the country can see a large amount of airborne debris. Unfortunately, in many cases, this results in there being chips taken out of even the strongest windshields. If you find yourself in this position, you will want to seek out a windshield chip repair service before the damage grows to the point of requiring a full car windshield replacement service. 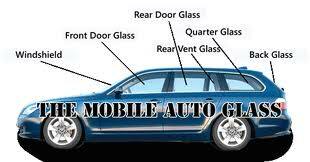 If you find yourself in the position of having auto glass damage that you just don’t know how to fix, then you should give the expert team at Mobile SGV Auto Glass a call today. Our company has more than 12 years of experience fixing the full range of chip and crack damage on auto glass, and you will not be disappointed in making our company your first call to help fix your car glass needs. Our auto glass repair shop goes to great lengths to ensure the high degree of craftsmanship that our customers enjoy when taking advantage of our highly-rated mobile auto glass repair service. Every one of our mobile repair technicians is highly trained and certified to work on just about every street legal automobile on the roads today. You will not be disappointed in the quality of our team’s work, and we love to over-deliver on our company’s promises. We are well-known for bringing a fully equipped auto glass shop to just about any safe location in the greater Los Angeles County area, and you will never have to wait on our team to come back to the shop to pick up any tools, parts, or materials to get the job done. We only follow the manufacturer recommended tools, techniques, and procedures when it comes to working on your vehicle’s glass, and you will be extremely happy that you made our company your first choice when it comes to car glass repair. If you have any questions regarding our glass repair and replacement services, please feel free to give us a call today. We love to answer your questions, and we look forward to serving you today.